Qianzhan.com says in its report today that recently Russian media have extensively revealed the secret of Chinese military technology. In addition to the secret of China’s ballistic missiles, it revealed a few days ago that J-20 stealth fighter that China is now developing would soon use China-made WS-15 engine with a thrust of 18 tons. A J-20 installed with such engines will entirely be able to kill a US F-22 fighter. Chinese air force Major General Zhu Heping was the first to reveal that when he attended the fifth session of the eleventh CPPCC. At that time a reporter asked him whether J-20 would use China-made engines. He gave a positive reply. That was the first time Chinese military responded to a question related to the engines for J-20. In fact, aircraft engines have long been a weak point in China’s aviation industry. US media published a special article in 2010 that held that China would not be able to commission its fourth-generation fighters in the period from 2017 to 2019 if it failed to be successful with its fourth-generation WS-15 engine. On February 27, huanqiu.com says in its report “New J-20’s engines are shorter and perhaps made in China” that the new version of J-20 must be using new engines. The new engines must be the WS-15 mentioned in qianzhan.com’s report. Today, Phoenix TV said in its express news that according to information provided by a web user, at around noon March 1, China’s new-version J-20 no. 2011 took off for its maiden flight accompanied by a J-10S fighter jet. It successfully landed at 12:30 hrs. Judging by the above news, China must have achieved initial success in developing powerful engines for its J-20 stealth fighter jet. US and Russian medias speculate that China has made breakthrough once more in developing WS-15 engine, which will very possibly be used on J-20 fighter jets. According to US media, at present J-20 has by and large stabilized its performance. If the performance of WS-15 engine is acceptable to Chinese aviation engine industry, China will have thus made a great breakthrough for series production of its J-20 fighters. According to a Russian military website, in 1996, China obtained from Russia the technology and a sample of R-79-300 engine developed for Yak-141 VTOL fighter jet, a project that Russia had to give up for lack of funds at that time. Surprisingly, China has used R-79-300’s technology in successful development of its own WS-15 series of turbofans. According to Russian media, China’s homegrown WS-15 engine has a maximum thust of 161.86 KN (with afterburner on and 105.22 KN when afterburner is off), a bypass ratio of 0.382, pressure coefficient of 28.71, temperature before turbin of 1447K, maximum diameter of 1.02 meters, length of 5.05 meters and total weight of 1,862 kg. The engine is equipped with an advanced FADEC system. Experts believe that with its success in developing WS-15 engine, China is reducing its disparity with Europe, US and Russia in developing modern military jet engines. Russian media has recently reported that China’s J-20 stealth fighter jet will be powered by WS-15 engine with a thrust of 18 tons. When air force Major General Zhu Heping was asked by a reporter, “Does J-20 use Chinese homegrown engine?” Zhu replied: Yes! But he made no further disclosure of technical details and the progress of the research and development. That was the first time that Chinese military responded to a question on J-20’s power. Sources say that satisfactory development of fighter jets for Chinese air force has been achieved along with the rapid development of China’s military industry. J-20’s performance and functions have always been kept confidential. Though outsiders know that it is the best in Chinese air force, specifics of its performance remained a mystery until current revelation by Chinese military of its mystery that has shocked the West. 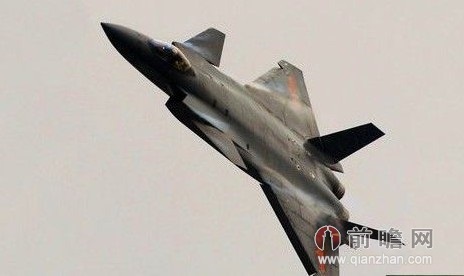 So far what outsiders know about J-20 is but its design of canard wings, strake wings, frontal and back wing flaps and all-moving tail fins, which may have brought about unique excellent maneuverability to enable the fighter to be more certain of superiority in air combat at unprecedented high speed. Meanwhile, the fighter shall be powered by a new type of engine with greater thrust-weight ratio and 3D thrust vectoring capability. The engine shall be developed by China entirely on its own. This has so far been confirmed by Air Major General Zhu Heping. The Russian media says in its report that by inference based on the general’s confirmation, the engine that J-20 stealth fighter need may very probably be WS-15 engine with a thrust of 18 tons. This plus its special layout make the Russia media conclude that China’s fighter jets rank among the foremost again in the world and lead the trend of engine development in the future. Aviation engine technology has been a weak point of Chinese aircraft industry for quite a long time. Now by assimilating advanced technology in the world, China has resolved a serious of complicated problems for J-20 fighter. From that we can see that the fast development of China’s military industry has greatly brought along that of its aircraft industry. That undoubtedly has shocking repercussion on the West.